There you go. I have just helped you into an early retirement. Which particular Blockchain technology are you referring to? Seriously? Blockchain technology? That's pure speculation. Do you know what blockchain technology is? It's not just the way of handling cryptocurrency transactions. It's all about database management. As many businesses move to online retail, they need a way to handle online payments. Furthermore, they can capture data, track orders, etc. Blockchain technology companies do that for them. Have you ever heard of a company called Stripe? They're basically Square's biggest competitor. What they do is make it easier for small to big businesses to accept forms of online payments. This is great for the creative person who wants to make extra cash on the side. 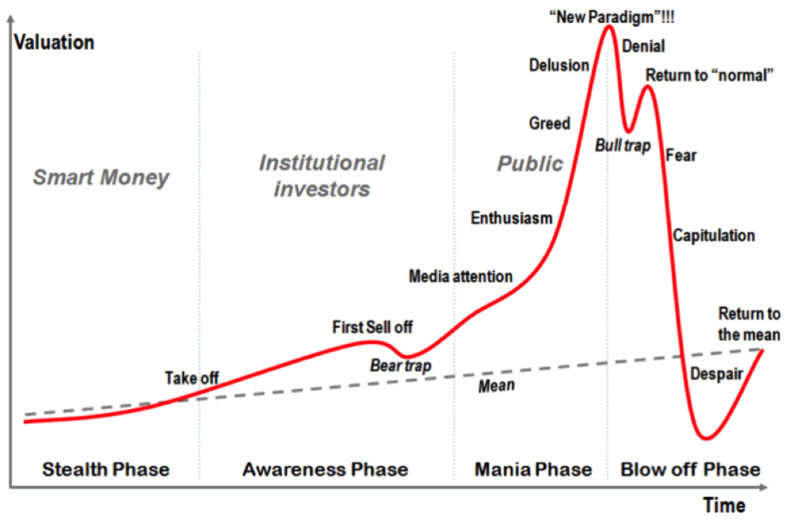 Thank me later OK. See the image below...now go look up bitcoin pricing...it will follow this graph. I'm not going to say who I am investing in because it's high risk and high reward. I expect a 5-10x return or minus 50%. LOL... Yes, it's almost a binary option play which my friends keep saying buy option make more money but because the time-value (time to market on technology/adoption) is unknown it's far too risky. H, some of us have two portfolios. I have the retirement portfolio 401k and a speculative portfolio. Retirement is all index like vanguard, etc... Boring, safe, and slow...exactly how it should be. The speculative is in all stocks...excit ing, fun, thrilling, sad, etc... Yes, I know the rules, don't invest in stocks because you cannot beat the pros, invest in index and etf... I use to agree. to me: the whole thing of this blockchain was suppose to be like black market stuff, anti-goverment , decentralized the bank and stuff.